Dal-Tile Corporation, a subsidiary of Mohawk Industries, manufactures, distributes and markets high-quality ceramic tile and natural stone products. Dal-Tile is the largest ceramic tile manufacturer in the U.S. and one of the largest tile manufacturers in the world employing over 10,000 associates. We currently operate eight manufacturing facilities (seven in the U.S. and one in Mexico), five Regional Distribution Centers, and over 250 Sales Service Centers (SSCs) throughout the U.S., Canada, and Puerto Rico. 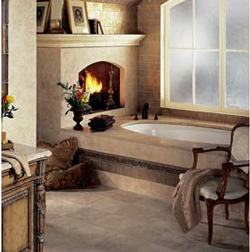 Dal-Tile products are sold through company owned SSCs, home centers (i.e. Home DepotÒ and Lowe’sÒ) and through independent distributors. Founded in 1947 in Dallas, Texas, Dal-Tile has greatly expanded and now incorporates the manufacture of glazed and unglazed tile, glazed and unglazed ceramic mosaics, glazed porcelain tile, unglazed quarry tile and a variety of stone products. Dal-Tile owns three of the most widely recognized product brands in the ceramic tile industry; DaltileÒ, American OleanÒ and Mohawk TileÒ. Each brand offers a comprehensive line of fashionable, high-quality tile products in a range of colors, textures and finishes.